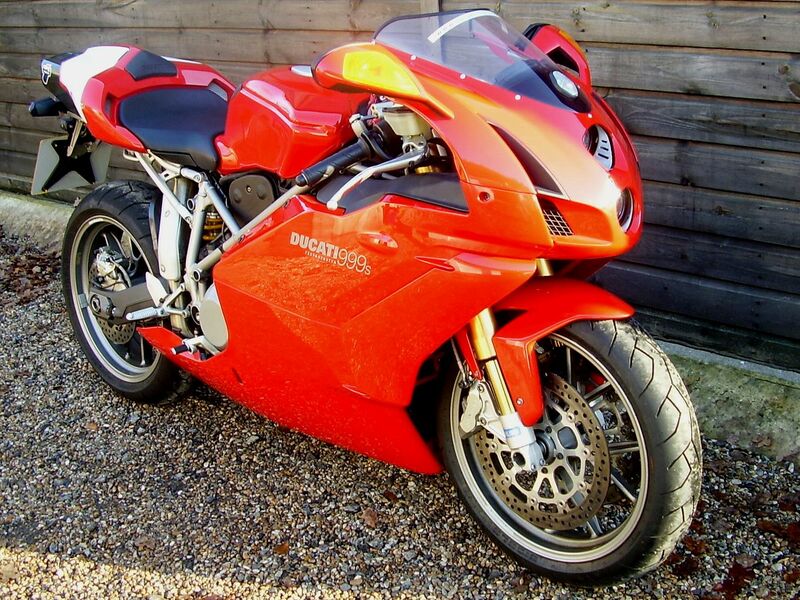 Ducati 999S Factory Mono in Ducati Rosso Anniversario with Grey Marchesini 10 spoke rims. 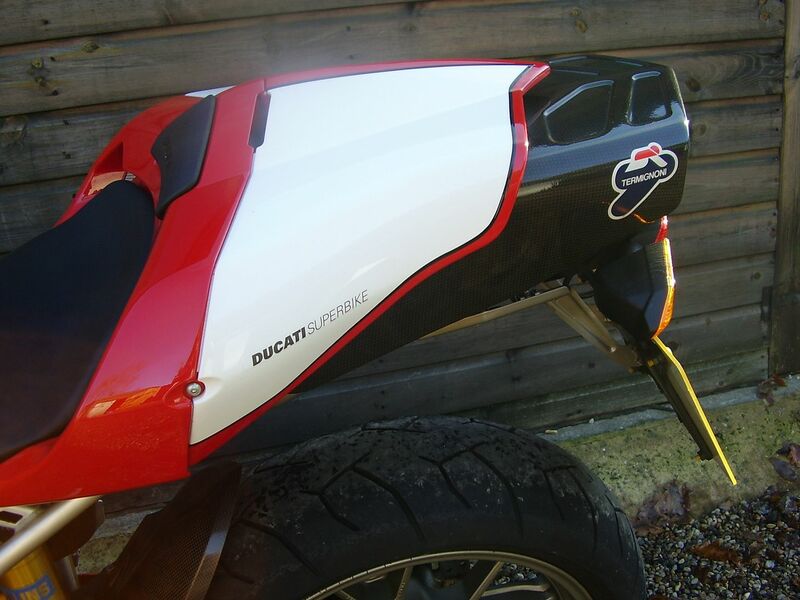 UK supplied by Ducati franchised dealers Pegasus of Reading. 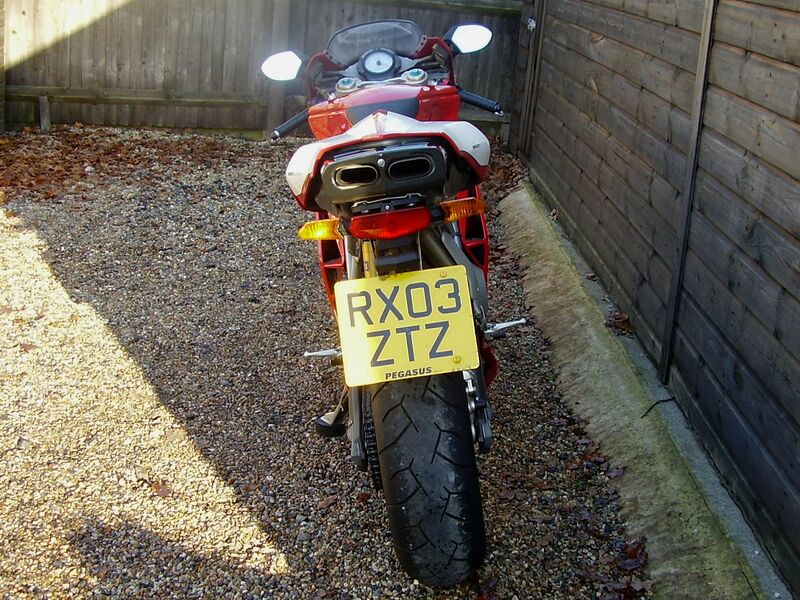 Registered April 2003 on an ’03’ plate, this is the much rarer ‘early’ type with silver frame and cast swingarm. 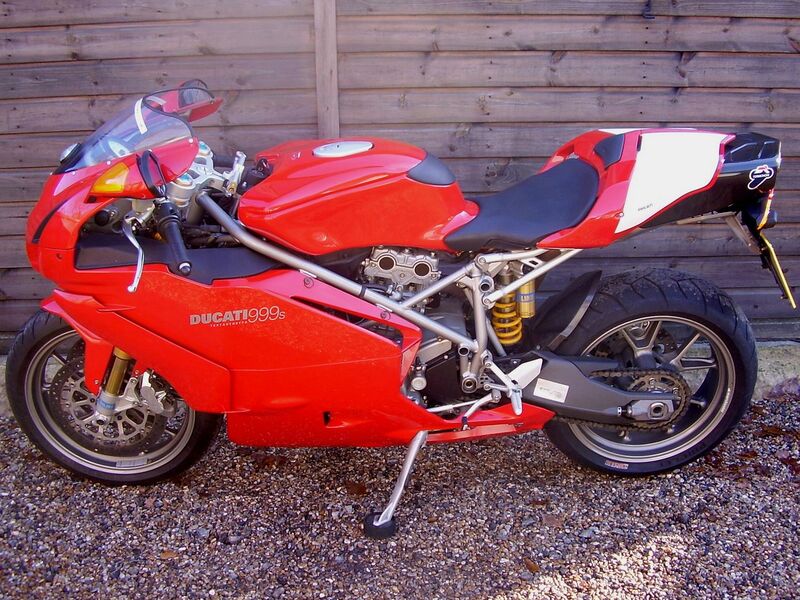 This bike will appeal to any buyer that places great importance on originality, mileage and condition, three of the most important factors, in our view, when purchasing any collectible car or motorcycle. 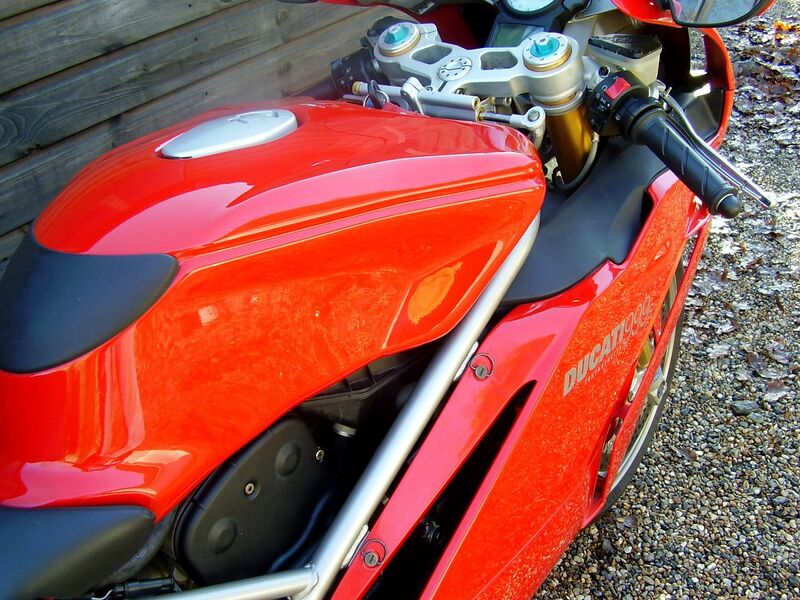 The Ducati 999 followed the much loved 916/996/998 Massimo Tamburini designed series. 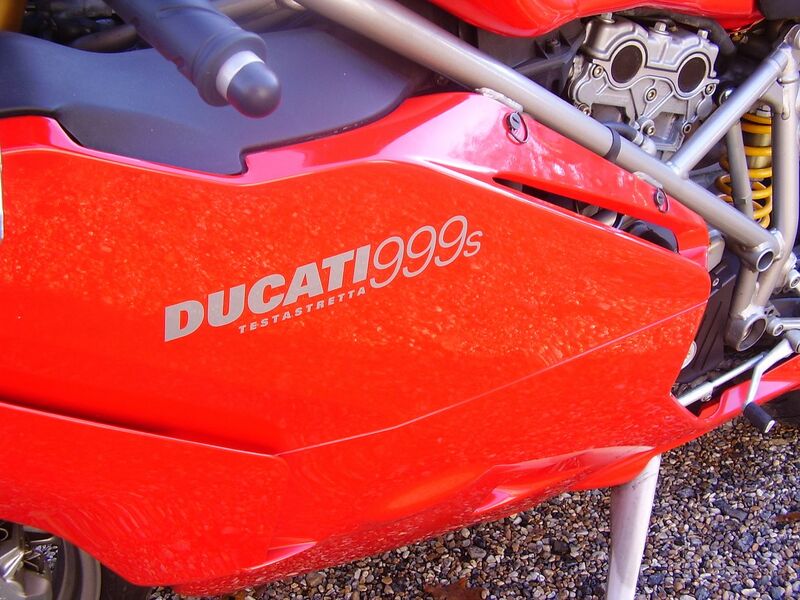 Penned by Pierre Terblanche, it became one of the most successful race bikes every produced by Ducati Corse, winning 3 out of 5 World Superbike titles between 2003 and 2007. 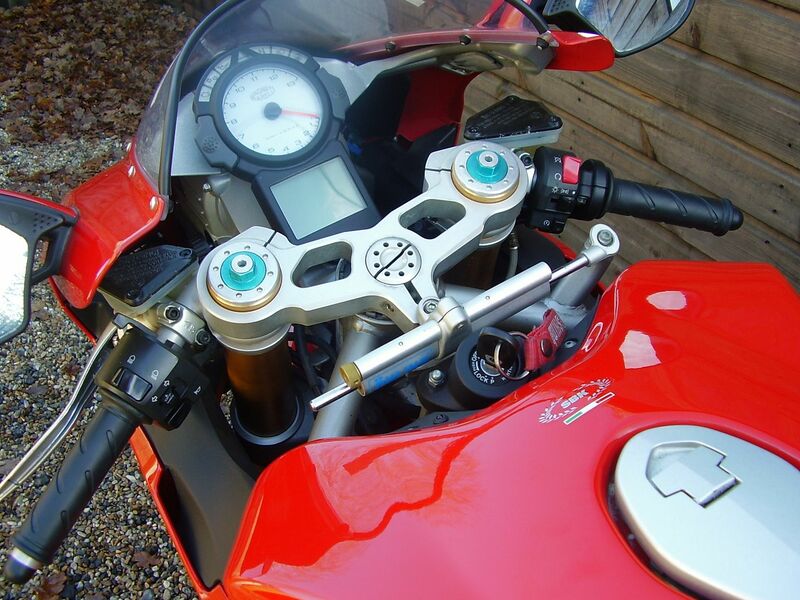 It was a huge step forward in many ways, not least being the first motorcycle in the world to utilise CAN bus wiring and electronics, that being in simplistic terms where individual cables and wires serve more than one purpose, or circuit. 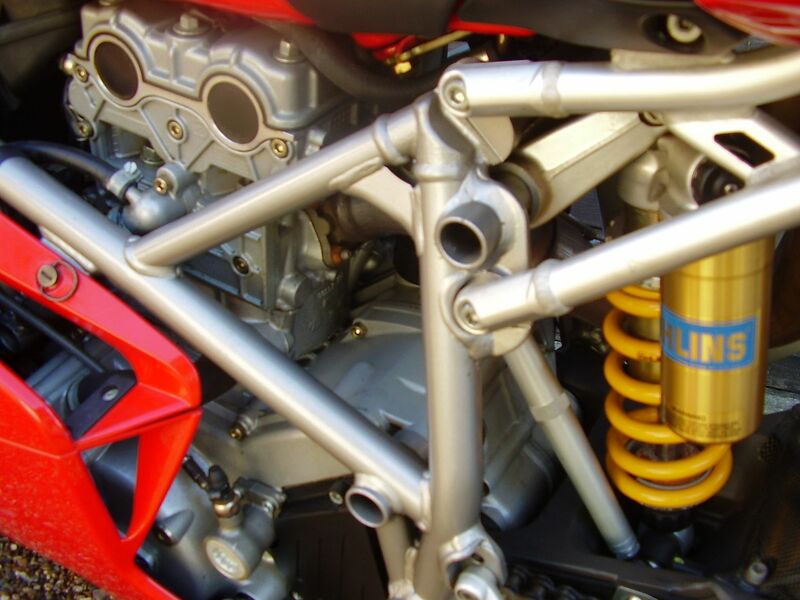 All 999 variants had the ‘Testastretta’ motor, previously seen in the earlier 996R and 998S models, and literally translated as ‘Narrow Head’ enabling a reduced included angle between the valves, this allowing bigger valves, and necessitating significant re-engineering and re-location of one half of the desmodromic valve gear. 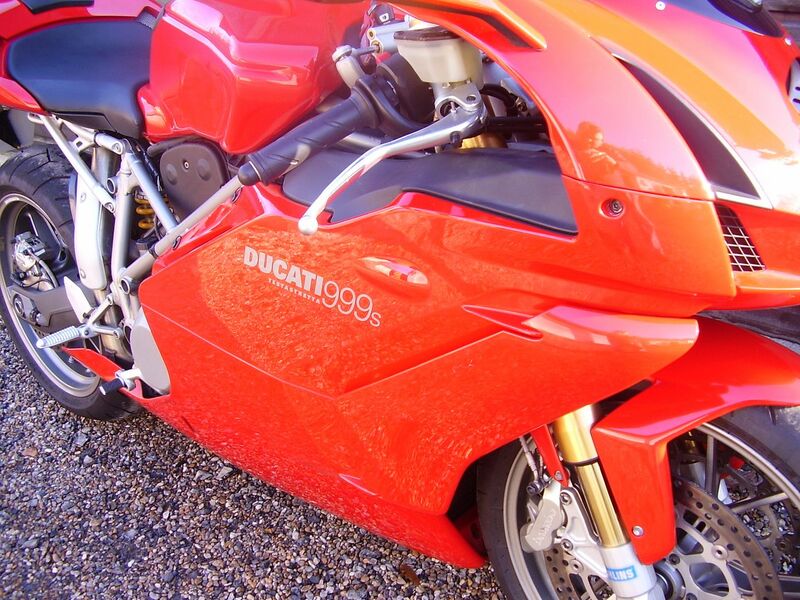 In higher ‘S’ specification, as with our bike here, the motor produced 136 bhp (140 ps) and was significantly up on the the ‘standard’ 999 model’s 123bhp. 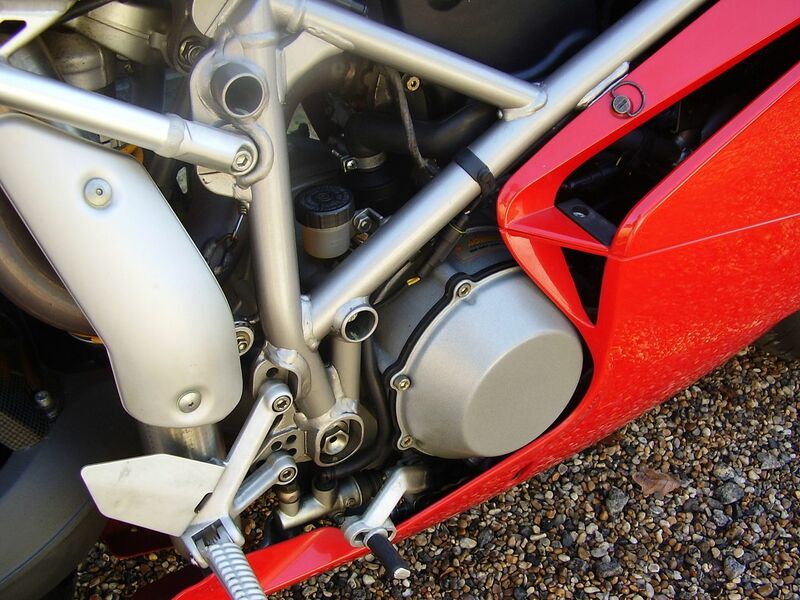 The motor also utilised higher specification materials for the the con rods, valves and pistons, and had a ‘deep sump’ which naturally made for cooler internal crankcase temperatures. 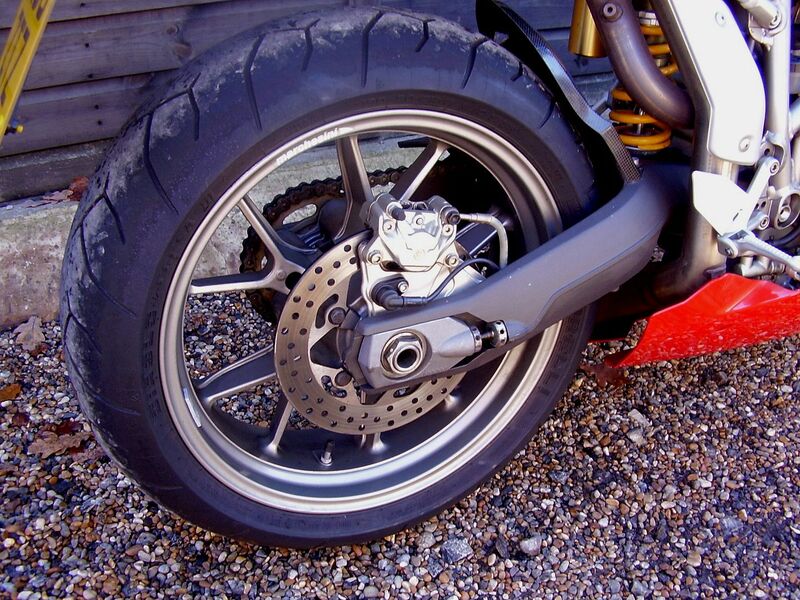 Factory Mono bikes, as here, had a unique, lighter subframe, which did not include a facility for pillion footpeg fitment. 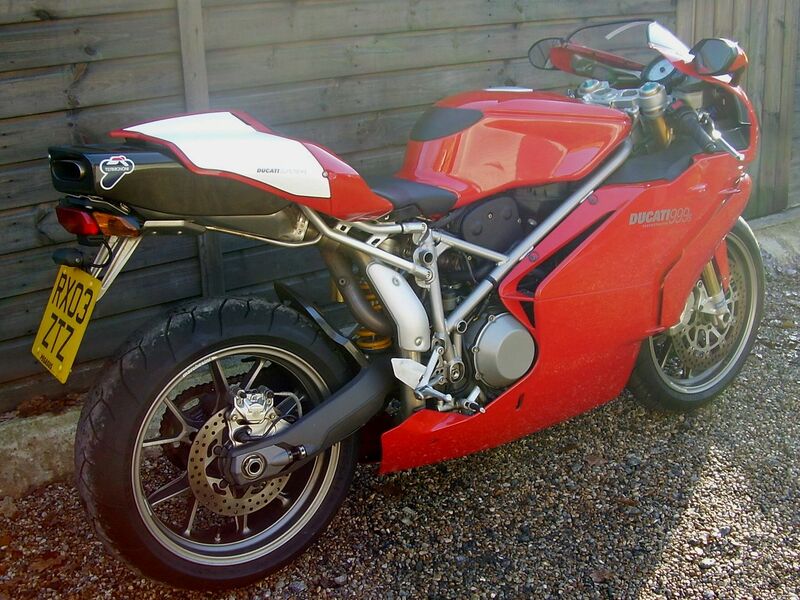 £ 9995, Ducati 888 Strada (Highly original, Standard bike) 1994 L Reg. 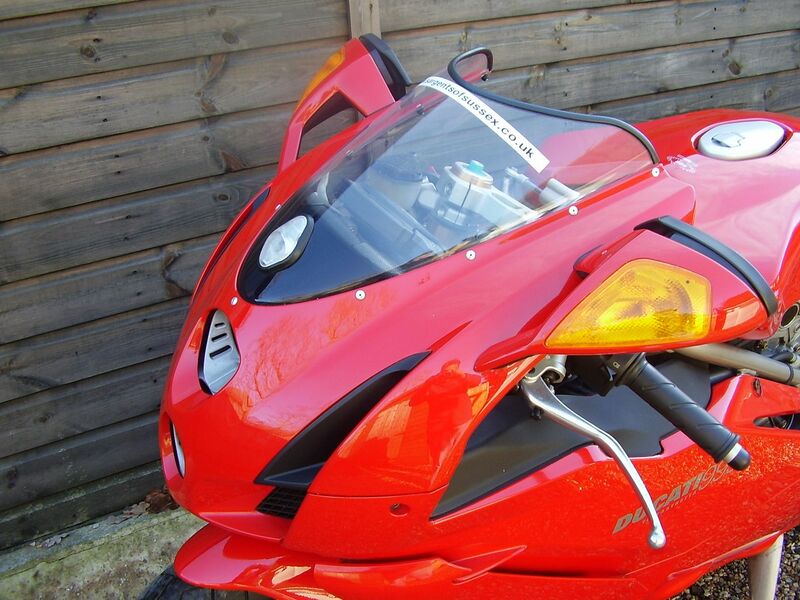 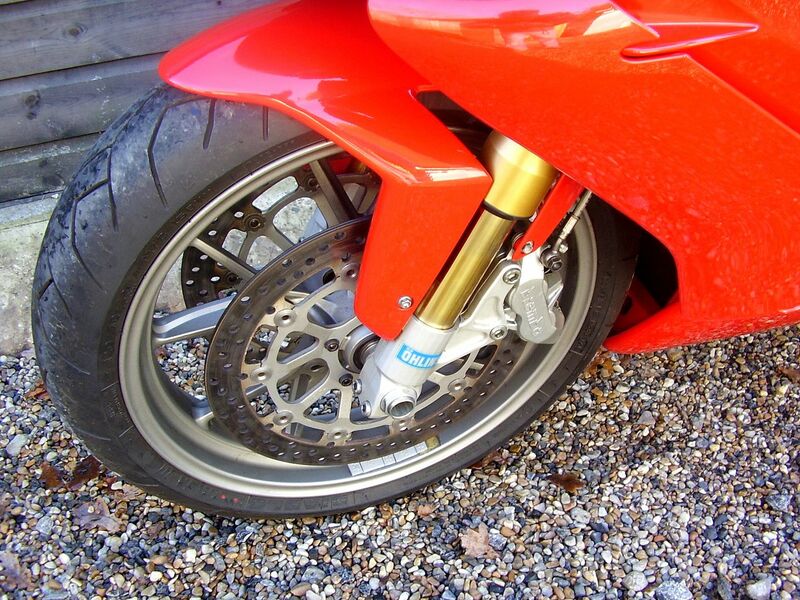 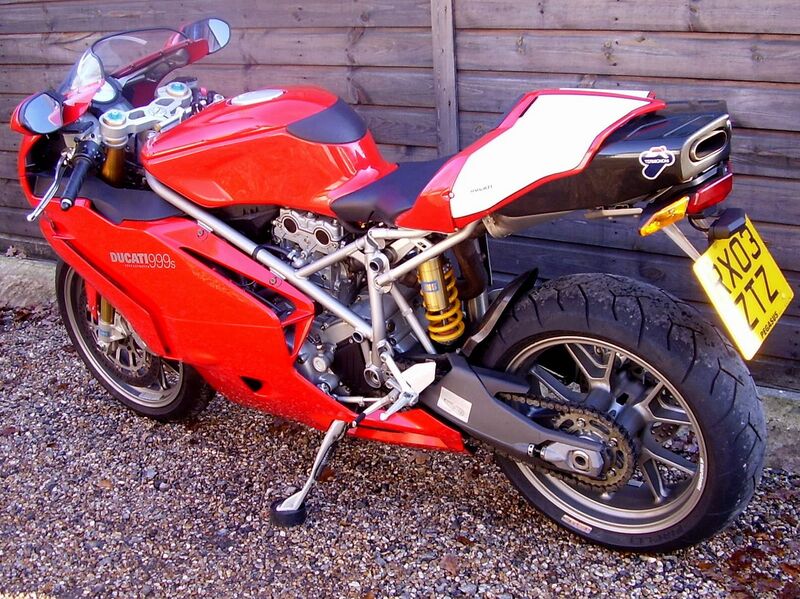 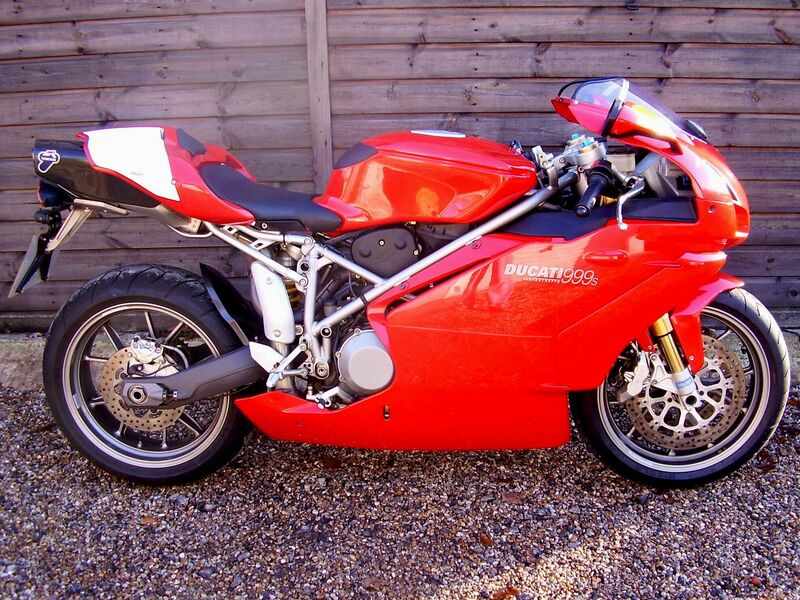 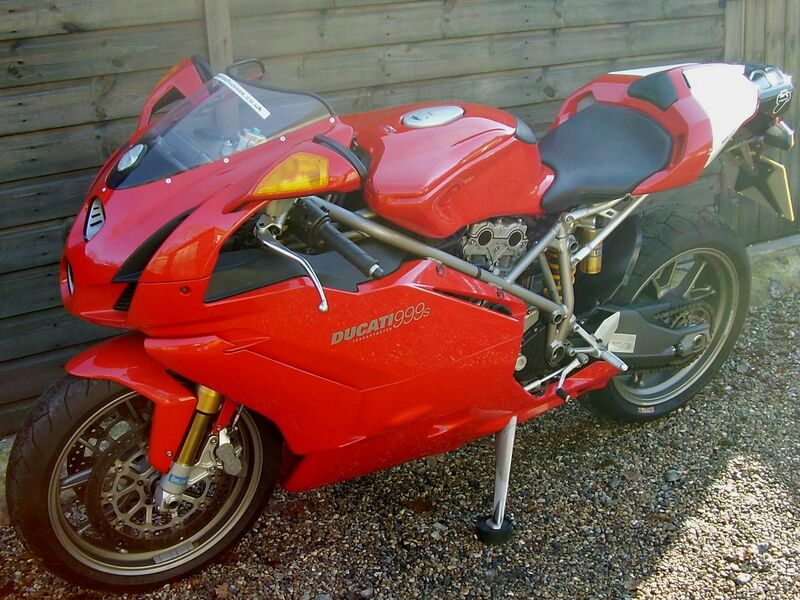 £15995, Ducati 999R (UK bike, 8500 miles, No. 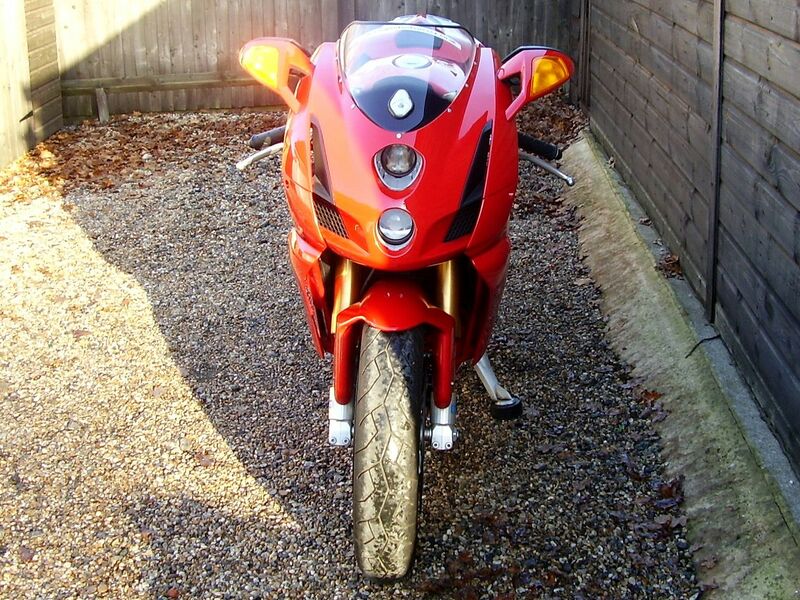 137) 2003 03 Reg.